Robin Roberts and Michael Strahan, along with Lara Spencer, Amy Robach and special contributors Jess Cagle and Joe Zee, will host the "Oscars Opening Ceremony: Live From The Red Carpet" at 7 p.m. ET / 5 p.m. PT on ABC. 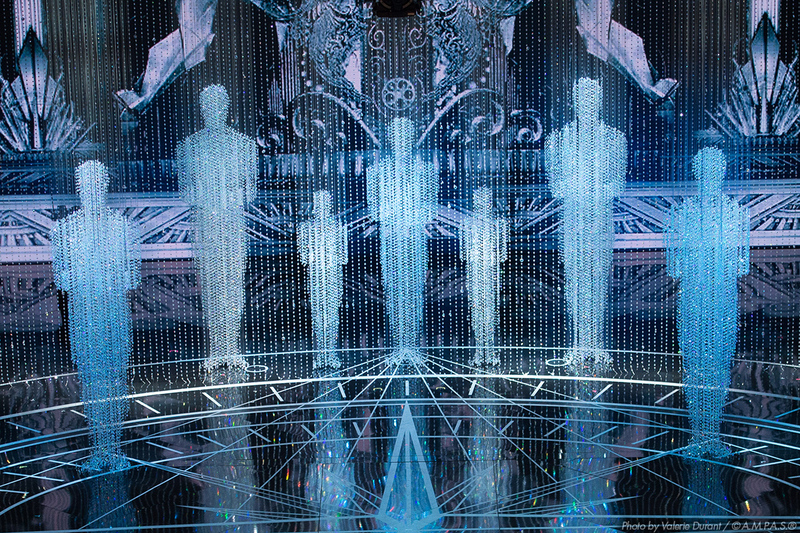 The Oscars Pre-Show will, again, keeps things in the ABC family. "Good Morning America" anchors Robin Roberts and Michael Strahan, along with Lara Spencer and Amy Robach will host the "Oscars Opening Ceremony: Live From The Red Carpet" pre-show on Feb. 28 at 7 p.m. ET / 5 p.m. PT on ABC, the anchors announced Wednesday. Jess Cagle, Editorial Director at People and Entertainment Weekly, and Joe Zee, Editor in Chief of Yahoo Style, will serve as special contributors. This is the same crew Oscar fans saw last year, except Amy Robach is a new addition. Per press contract, the ABC pre-show is the only show allowed to broadcast live from the Red Carpet after 7 p.m. ET. For the first time ever, the Academy is allowing ABC to broadcast interviews live from the Grand Staircase. Roberts is a pre-show host veteran, having hosted in 2009, 2011, 2014 and 2015. She was a special correspondent in 2013. This is Cagle's seventh year co-hosting and Spencer's fourth. This is Strahan's second year contributing to the official pre-show, but he also interviews stars from the Red Carpet for "LIVE with Kelly and Michael," which tapes an exclusive after-Oscars special inside the Dolby Theatre hours after the show ends. "We have some brand new surprises this year," said Spencer during the announcement. "We'll be live backstage with incredible behind-the-scenes access." 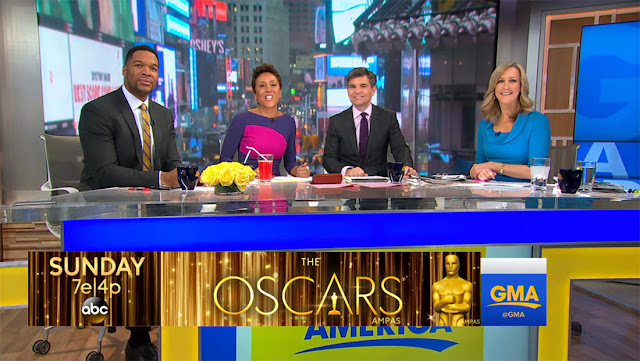 The "GMA" crew will also tape special Oscar shows before after the Oscars in Hollywood. The Red Carpet pre-show was tripled to 90 minutes in 2011 after Barbara Walters announced she would no longer produce an Oscars special, which for years had preceded the pre-show.